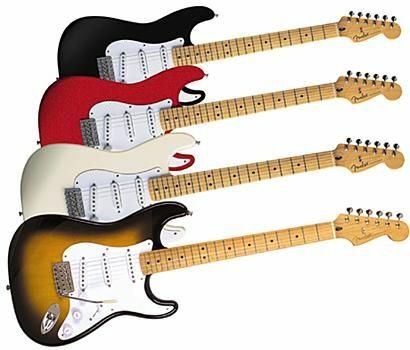 Strangely most reference books are wrong when it comes to this model and Fender's catalogues are incomplete. 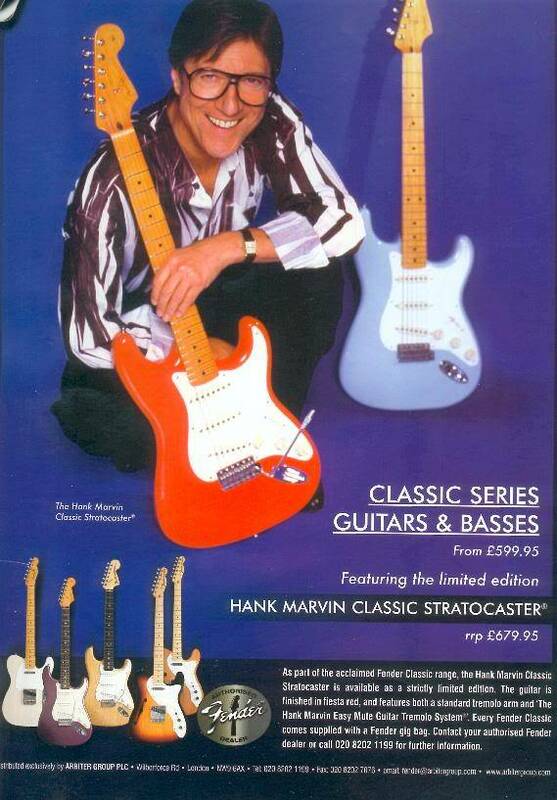 The reference books say that the only Buddy Guy strat available in the 90s was an American one in Sunburst or Blonde. In fact Mexican made polka dot ones were available in at least 1996 and 1997. I have seen them for sale and they are clearly genuine. 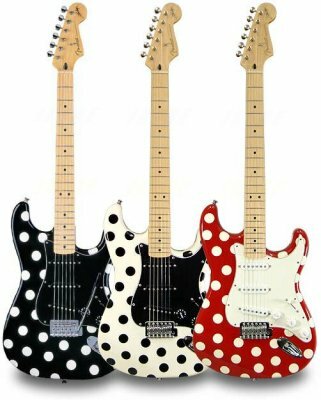 Officially the Polka Dot Mexican Buddy Guy was launched in 2002. Perhaps the mid 90s ones were special runs. The guitar is still available today. 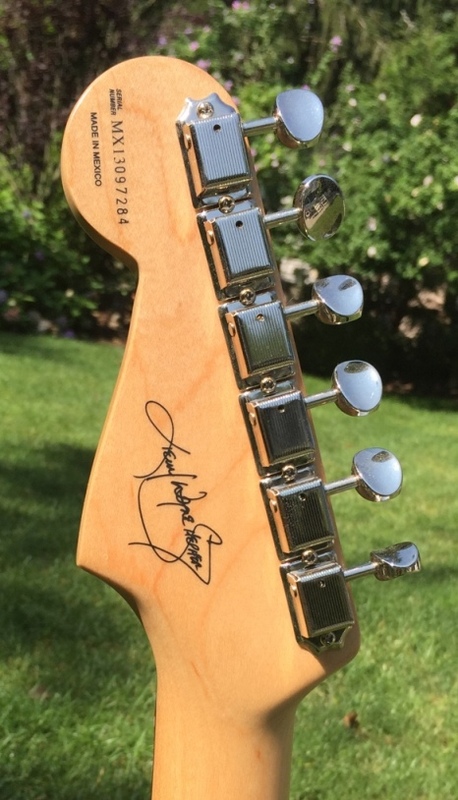 There are several Richie Sambora signature models made in the USA and Japan. 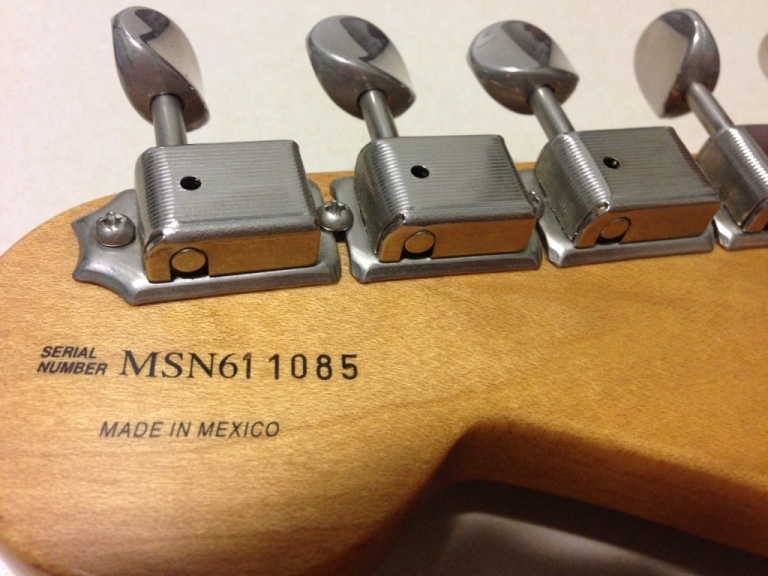 The Mexican version is known as the Richie Sambora standard strat. It was first launched in 1994 and discontinued at the end of 2002. I have seen comments that some were made with Alder bodies but nothing in the Fender literature I can find supports this. 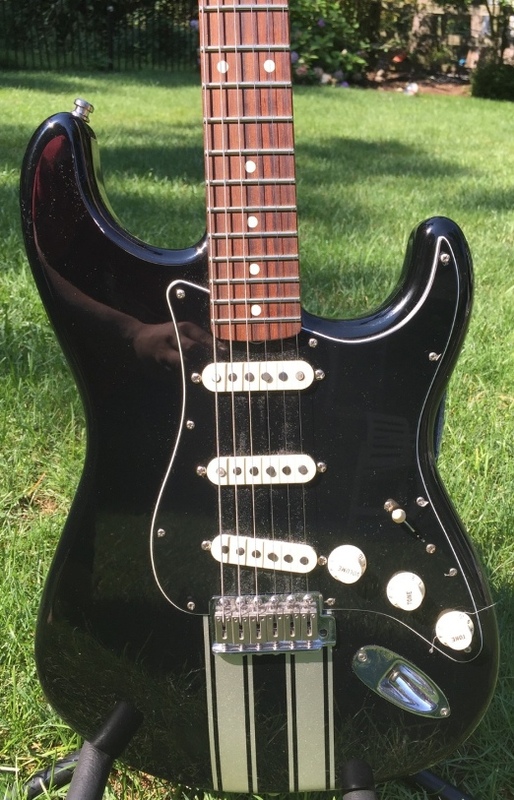 This guitar was launched in 1997 partly as a replacement of the short lived Tex Mex. It is still available today although only in Olympic White. Bridge Vintage 6 pivot trem. 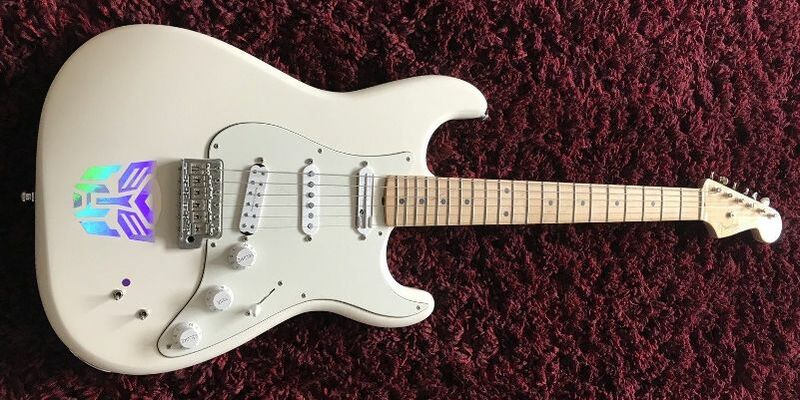 A very basic strat indeed very like some early Yamahas with a single Humbucker. 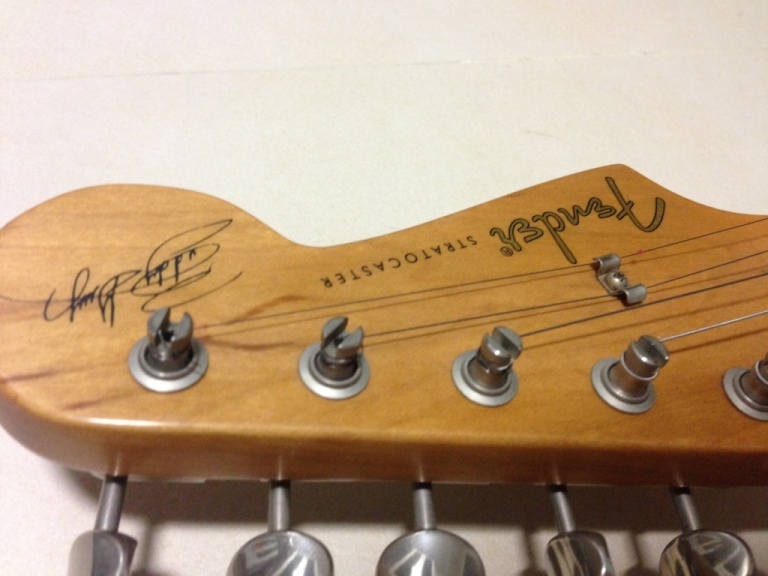 The MIM version was produced from 2001 to 2003 but there is also a Squier version. 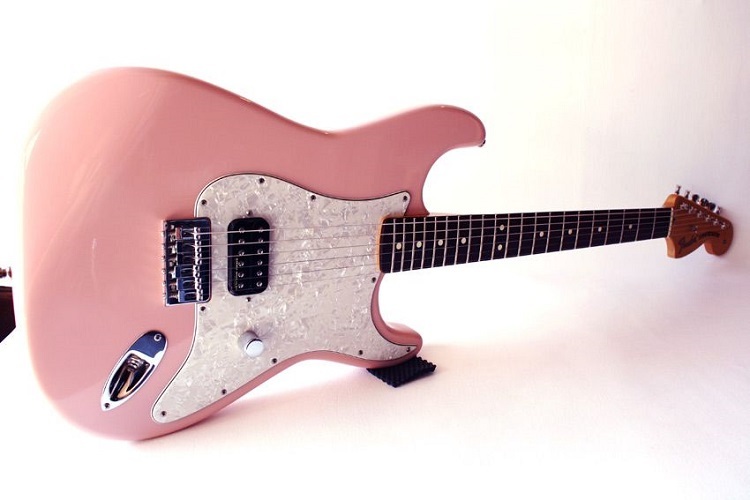 A Tom Delonge in what I think is Shell Pink a colour not mentioned in Fender's literature as far as I can find. 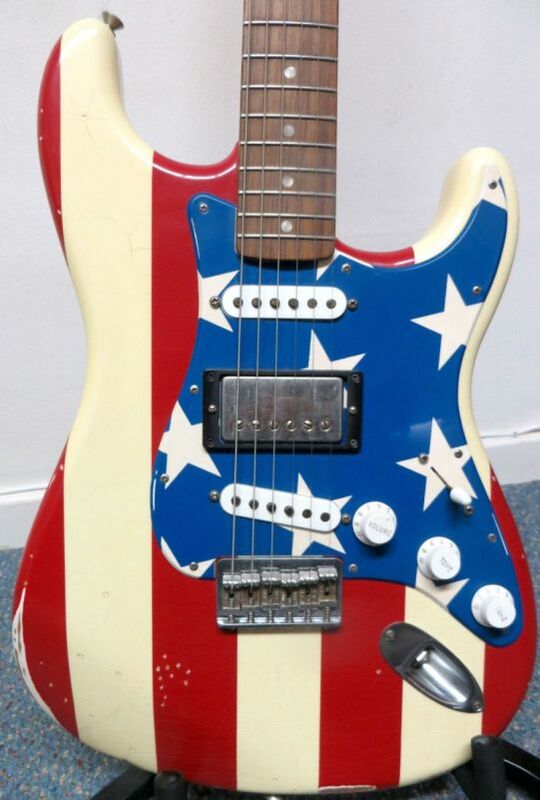 This guitar was first produced in 2003 and is still available today. It is based on a classic series 60s. 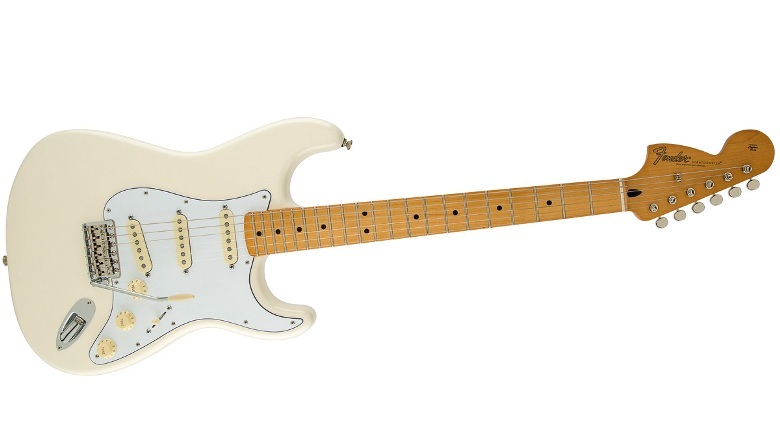 Launched in 2007 although appears first in the 2008 Frontline this guitar is advertised as inspired by Kenny's famous 1961 strat so naturally has 60s style features. It was available until at least 2015 but not any more. 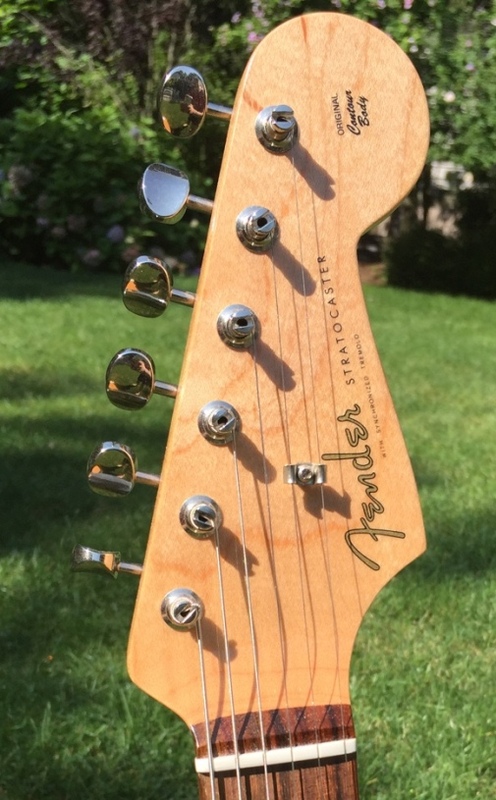 This otherwise relatively ordinary strat is distinguished by it's unique electronics. 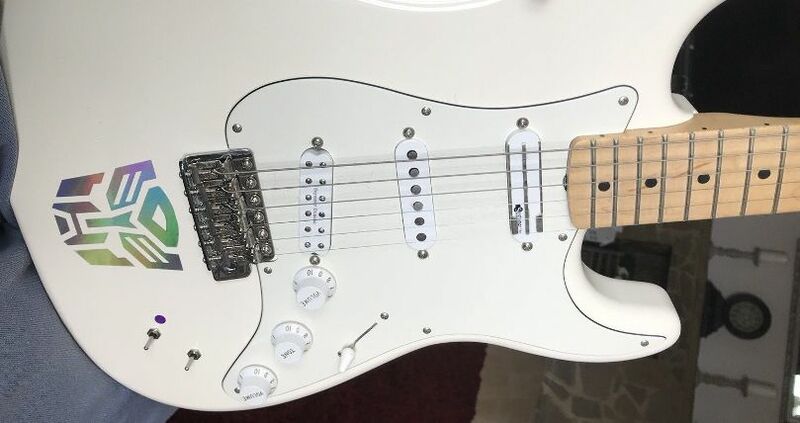 The bridge pickup is a Fernandes sustainer with an active sustainer driver circuit, which has a separate on off switch for the sustain. On it provides almost infinite sustain the three way selector for the sustain gives either sustain of the notes played, sustain of the 5th Harmonic or both. 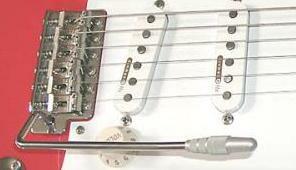 Off it is a standard single coil pickup. 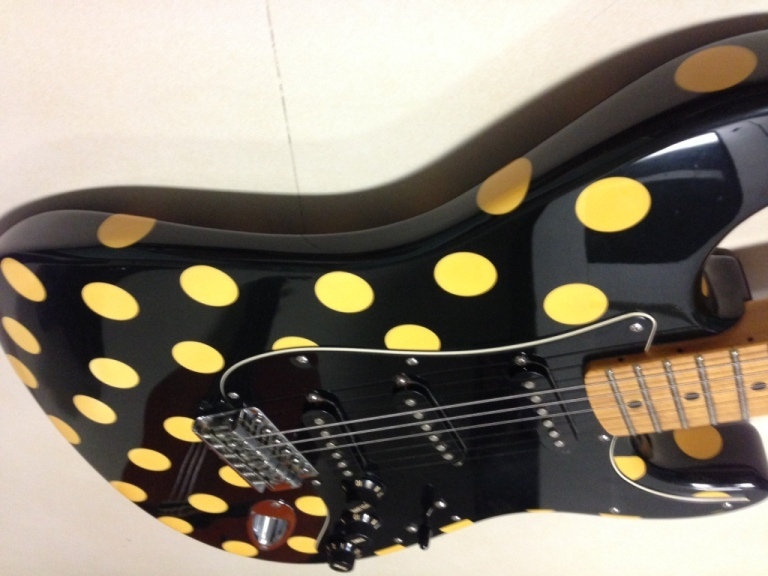 The signature guitar for the MC5 guitarists was launched at the 2011 NAMM show. It doesn't appear in any catalogue that I can find so suspect it was a relatively short lived model. I have only seen 2011 models. 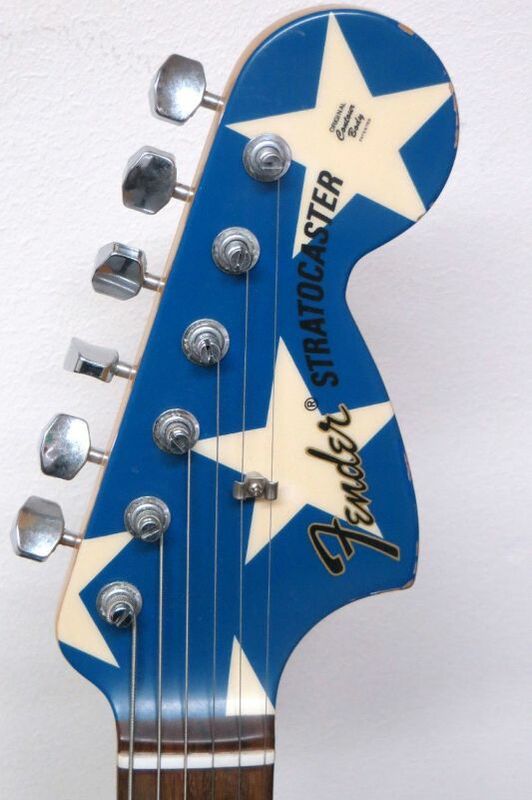 Headstock: Large 70s Style Blue with large white stars 1 butterfly string tree, truss rod adjust at body end.